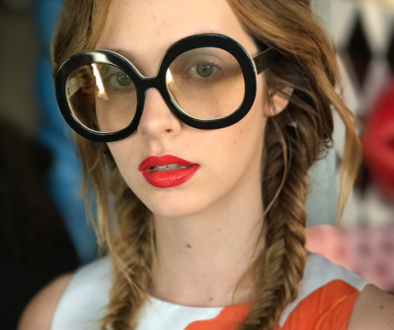 Even celeb hairstylist Sarah Potempa “liked” my waves on instagram…gasp! Did you all have an amazing weekend? I hope so! I’m still getting my groove back from baby, as you know, but this weekend was actually a nice break from all the chaos lately. My schedule’s been frantic trying to do so many things at once, but I’m slowly but surely getting the hang of it and within the past few days I’ve even squeezed in a couple of 20-minute naps! Hey, I’ll take what I can get. When I became a mom, my everyday hair routine changed. For the better, actually. I once read to just embrace your natural hair texture and quit fighting it, so, hey, I did. Having no time to do my hair worked out for the better because I now embrace my waves every chance I can get, and I love it. It’s easy, carefree and I feel like it looks just as good on me than when I would blowdry my hair in the mornings for hours at a time (although I definitely don’t ever mind someone else blowdrying my hair…see below). Shrug. So now that I’m a mom of two? Well, the routine changed just slightly. I’m still air-drying my hair at night, but I’ve been using a few secret weapons. For one? 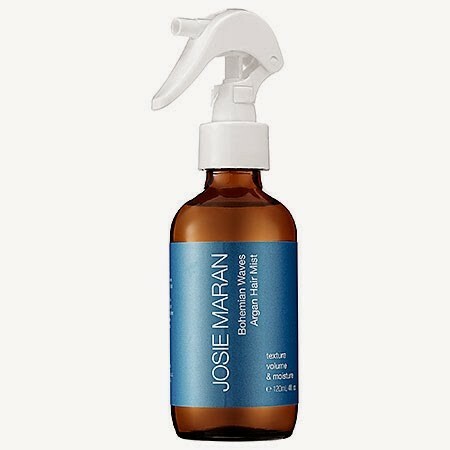 Josie Maran Bohemian Waves Argan Hair Mist ($22). It’s a def keeper (see my hair above). Love the spray bottle! I’ve always used some type of “sea spray” in my hair to accentuate my waves, and it really, really helps. I highly rec it! But when I actually looked at the labels of the brands I had been using (I won’t name names), I was horrified. Josie’s products are organic, and this mist doesn’t have all the nasties in it. Thank goodness. (For one thing, I’m nursing and anything I can do to keep things healthy for baby, I will.) Josie Maran products are incredible, so if you can try any of them, you’re gonna love. 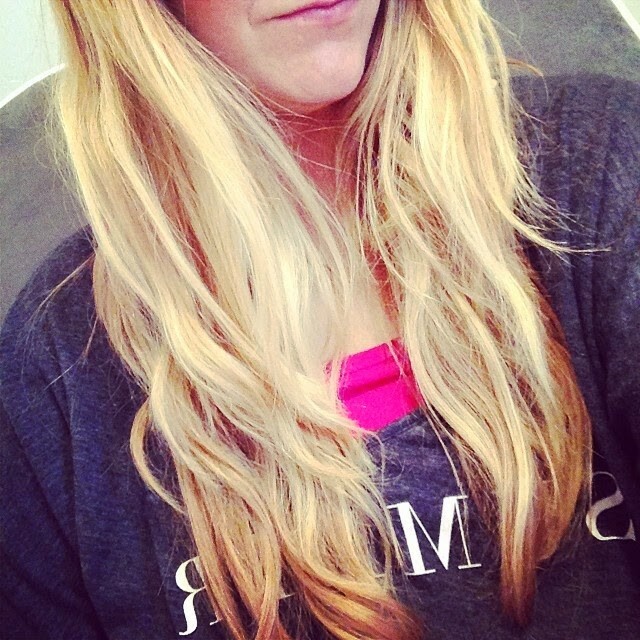 Have you ever had a blowout at a drybar locale? If not, you’re missing out, girlfriends. My first one was during fashion week at the Le Park Meridien location in NY and it was so swank. I’ve never had a better time relaxing! And the great thing is the stylists get you in and out of there in an allotted time so you don’t have to be stuck in the salon forever (hate that). I also visited the uptown location in Dallas this past fall and was just as impressed. Which brings me to one of drybar’s newest products I adore lately: Texas Tea Voluminizing Hair Spray ($23). Keep in mind, I usually hate hair spray, but this one is great. I was sent a sample to try and it’s got a great way of holding my waves (and especially my bangs!) that I don’t have to worry at all about a sticky mess or anything horrid like that. I usually spray it in the middle of the day for a quick pick-me-up. So now, drumroll, please. Dry shampoo. Everyone’s using it, and for good reason. It works! But not all dry shampoos are created equal, gal pals. drybar’s Detox ($20) is really good and doesn’t leave your hair too limp or oily – it makes it feel fresh and clean, which is what we’re going for, yes? Being a new mom, I don’t think I could live without dry shampoo, honestly. It extends my hair several extra days, which is major. The only con to this product is the strong scent…be sure you spray a little and then step out of the room for a minute. It’s quite powerful! Pro? There’s also a brunette version, which can be a hard thing to find for some of you girlies. Wash + argan mist + sleep + comb lightly + hair spray + dry shampoo = voila! Share the post "How I’m Styling My Hair Right Now"